The Richard & Judy Book Club won't be recommending regional newspaper financials as an engrossing read any time soon. But perhaps the Finnegans' researchers should take a closer look at the numbers. For in recent weeks, as Archant and Johnston Press have gone public with their numbers, a full picture of the regionals' performance in 2006 has started to emerge. It's a tale of secret heartbreak concealed behind a stiff upper lip. Last year, revenues at the Big Four publicly-quoted regional newspaper groups fell for the second year in succession. At Archant, Johnston Press, Northcliffe and Trinity Mirror, regional revenues fell by 6.4 per cent, or slightly more than £100m. The damage was caused by what Northcliffe described as the worst ad recession since the early 1990s. Yet the cause of the industry's private grief lurked in the Big Four's relatively impressive profitability. In a downturn, profits are partly influenced by what the City calls "operational gearing". Newspapers have plenty of it — because fixed costs such as printing equipment and lots of full-time staff are necessities. As a result, even small declines in revenue can rapidly destroy a newspaper's profitability during a recession. This explains the City's relief when the regionals owned by the Big Four only registered a 6.6 per cent decline in operating profits during 2006. Given the economics of newspapers, the numbers could have been a lot worse. But these results were only achieved by a serious efficiency drive. And the iron law of operational gearing meant that staff bore the brunt of efforts to salvage profit margins. During 2006, for example, Northcliffe slashed a remarkable £35m from its cost base, making 1,000 staff redundant. A bar chart in the company's annual report – released in January – records 13 successive months of declining payroll numbers. Without these cuts, Northcliffe's operating margins would have fallen to 12 per cent — well below the minimum 15 per cent that the City demands from most media companies. As it was, Northcliffe turned in operating margins of 19 per cent during 2006. The big question is whether the regionals will be forced to continue cutting costs. On this subject, two clear schools of thought have emerged – The Structuralists and The Cyclists. For both camps, the key question is the future of advertising, which typically provides the lion's share of regional revenues. The Structuralists believe that the regionals' ad revenues are in long-term decline – thanks to the web. Alongside a majority of City analysts, Carolyn McCall, chief executive of Guardian Media Group (GMG), has emerged as a leading Structuralist. 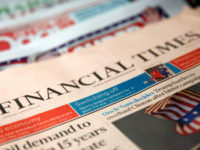 In March, after annual results presentations from Johnston Press and Archant, McCall told Press Gazette that regional newspapers' ad revenues "will not come back into print". In particular, she suggested, local job and car ads are shifting to the web rapidly. GMG's critics have privately suggested that McCall's talk of "deeply structural change" is designed to deflect criticism. In the year to April 2006, operating profits at GMG's regionals slumped by nearly 40 per cent — far worse than the industry average. Alternatively, McCall's position may have been influenced by the news – from the authoritative Internet Advertising Bureau – that while regional print revenues slumped during 2006, online classified advertising expenditure grew by 45 per cent. Admittedly, GMG's regionals — located in Manchester and the Thames Valley — are at the sharp end of the digital revolution. As one competing publisher admits: "It's different in Macclesfield — at least for now." From her own experience, McCall — like any good Structuralist — also knows that digital ad revenues aren't growing fast enough to compensate for the declines in print-based ad revenues. 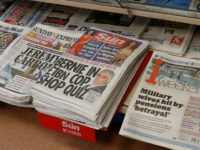 Supporting evidence comes from Trinity Mirror, the only UK newspaper group that details the split between its regionals' digital and print revenues. In 2006, print revenues at Trinity's non-Metro ("core") regionals fell by a swingeing £41.1m. But despite the launch of 245 websites, the company's regionals only managed to increase digital revenues by £13.4m. To make up for this kind of deficit, argue The Structuralists, Britain's regional newspapers face several more years of cost-cutting and consolidation. Ironically, the opposing ranks of The Cyclists – who blame the business cycle for the regionals' malaise – are led by Johnston Press, the industry's champion cost controller and consolidator. ake job ads, which account for up to one-quarter of regional ad revenues. According to Bowdler, industry-wide declines of 16 to 17 per cent in job ad revenues during 2006 were caused by public sector job cuts and immigration from Eastern Europe. (Separately, Michael Pelosi, managing director of Northcliffe Newspapers, chimed in with the suggestion that immigration has made it "easier for employers to fill vacancies" without advertising). In 2005, the job market sagged first in the South, and then in the North – a classic recessionary pattern, according to Bowdler. Arguing against McCall, he also suggested that his newspapers' revenues from "very local" job ads for "lower demographic groupings" would prove "resilient" against threats from the web. Revenues from the industry's second "pillar" – car ads – fell by 15 per cent at Johnston Press and 17 per cent at Northcliffe during 2006. But far from seeing an online shift for car ads like McCall, Johnston Press pins the blame on Britons' declining interest in car buying. New vehicle registrations have fallen three years in a row, says Bowdler. And because dealers are going out of business, print-based ad revenues are declining, too. Managers at Johnston even marshall the record-breaking levels of property advertising to support their argument. "Vendors have had to work harder to sell their properties than was the case a year or two ago," Bowdler suggests sensibly. Hence the seven per cent increase in property ad revenues during last year – and Johnston's combative suggestion that estate agents "continue to value newspaper advertising". The case against McCall sounds impressive. But even the king of The Cyclists – Bowdler – can't suppress a murmur of doubt. Buried deep among the positive noises in Johnston's annual report is the suggestion that "any upturn in performance could be taken disproportionately by the web". Should that happen, Britain's regional journalists may find themselves looking back on Northcliffe's 1,000 redundancies as just the beginning of their heartbreak. Meanwhile, in one of the industry's bigger ironies, the triumph of The Structuralists would also open the way for Bowdler to consolidate an industry beset by structural change he claimed not to foresee.